Waste, by definition, is stuff that is not wanted. What was once waste can become "wanted." Sawmills across Virginia used to burn sawdust as a waste product, creating towers of smoke from wigwam-shaped burners. 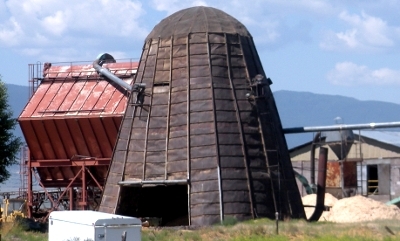 When air quality controls forced the sawmill operators to find an alternative disposal technique, a market developed for pressed wood. Many kitchen counters today consist of a thin layer of formica, on top of sawdust which has been pressed and glued into a layer of wood that is strong enough to support all the things we put on top of kitchen counters. Larger pieces of wood waste is now glued into sheets of "oriented strand board" (OSB) that competes with plywood. The next "opportunity" to convert a waste product into something with value: carbon dioxide. Today, it is released into the atmosphere from industrial operations and power plants burning fosssil fuels, such as coal. Political pressure to address global warming concerns is likely to classify CO2 as a regulated pollutant in the future - and that may trigger new ways to use the carbon dioxide to create a product that has value, rather than a cost for disposal as waste. Where do Virginians send the stuff they don't want? We recycle some of it, but we put the rest into the air, ground, or water. The only other choice: blast waste into space. That's not an option we use now, not even for highly-radioactive nuclear wastes. 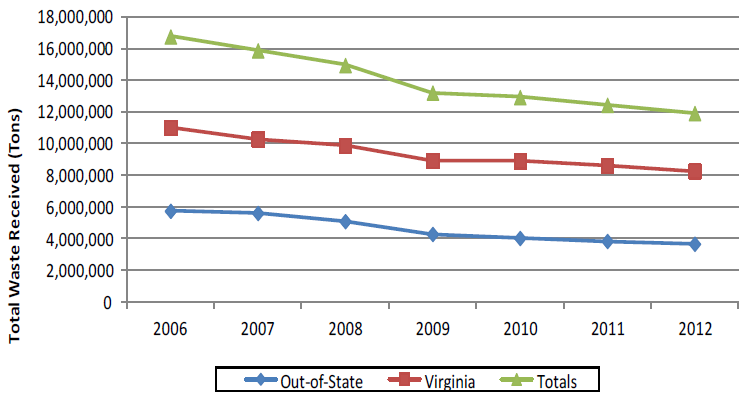 Waste produced by Virginians may go out of sight and out of mind, but waste does not go away. All waste ends up being re-used, or ends up as pollution in the air, ground, or water. 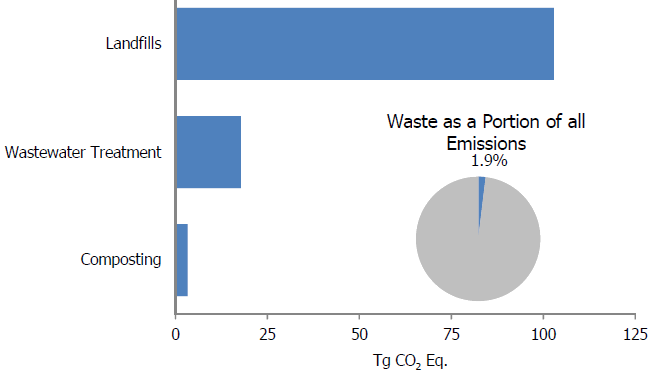 When Arlington County/Alexandria burns their solid waste in an incinerator, it minimizes water and ground pollution...but some percentage of gases escape the filters on the smokestacks and pollute the air. When Manassas sends its solid waste to a modern sanitary landfill, some gases and liquids escape the "cell" and must be processed. Methane in landfill gas is so common, both Fairfax and Prince William burn it to generate a small amount of electricity... and then exhaust the carbon dioxide and other combustion remnants into the atmosphere. When Fairfax County processes the sewage flushed downstream from the Fairfax Campus of George Mason University (at the Cole Wastewater Treatment Plant in Lorton), most "poop" is decomposed by bacteria and the nitrogen in the water is released as N2 molecules into the atmosphere. Solids that do not decompose as the sewage moves through the plant, mostly sludge from the bottom of the bacteria-filled decomposing tanks, are burned in an incinerator - generating lots of gases that go into the air, and a small amount of ash that goes into a landfill. Emissions from tailpipes of cars rise up into the atmosphere as gases, but then air-born particles from the tailpipes are absorbed by raindrops and re-deposited back on the ground. 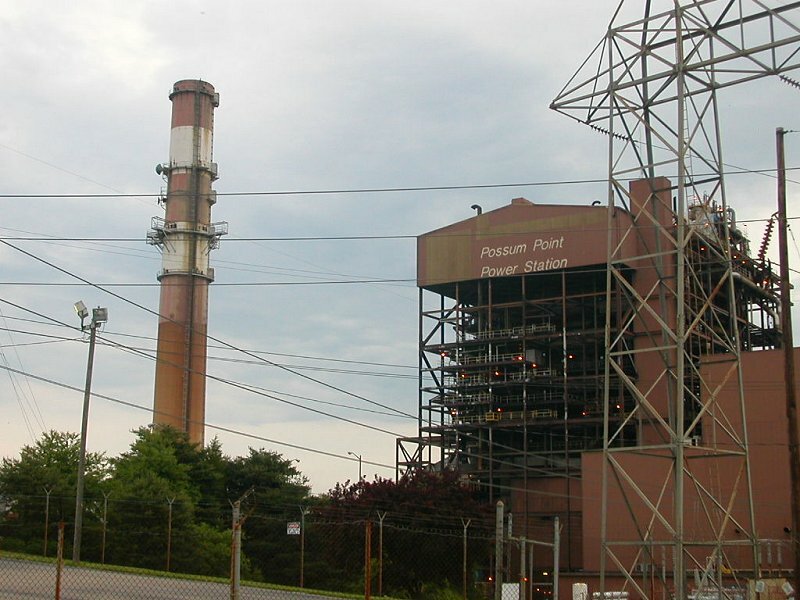 Much of the mercury pollution in our waterways comes from coal-fired power plants, where the traces of mercury in the coal are gasified during combustion, transferred across Virginia by air currents, then rained back into the creeks and the Chesapeake Bay. The atoms and molecules of mercury never "go away;" they just get transformed and transferred by our processing. We can shift waste from disposal in water to dissemination in air. We can build better scrubbers that minimize air pollution, but leave us more residue in "baghouse" filters that must be disposed of in the ground (in landfills). We can avoid putting solid waste into landfills by incinerating it, but that creates more air pollution. 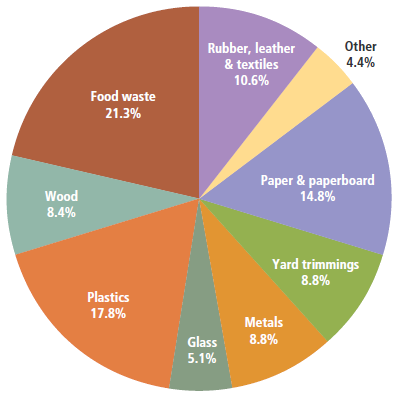 What we can not do: we can not eliminate "waste." We can only manage where we put it, and in what form. Putting waste underground, or dissoving it into the water, or converting into gas, may disguise the existence of a waste product but does not make waste "go away." where does soil that washes off a construction site end up? There shall no man or woman, Launderer or Launderesse, dare to wash any vncleane Linnen, driue bucks, or throw out the water or suds of fowle cloathes, in the open streete, within the Pallizadoes, or within forty foote of the same, nor rench, and make cleane, any kettle, pot, or pan, or such like vessell within twenty foote of the olde well, or new Pumpe: nor shall any one aforesaid, within lesse then a quarter of one mile from the Pallizadoes, dare to doe the necessities of nature, since by these vnmanly, slothfull, and loathsome immodesties, the whole Fort may bee choaked, and poinsoned with ill aires, and so corrept (as in all reason cannot but much infect the same) and this shall they take notice of, as shall be thought meete, by the censure of a martiall Court. 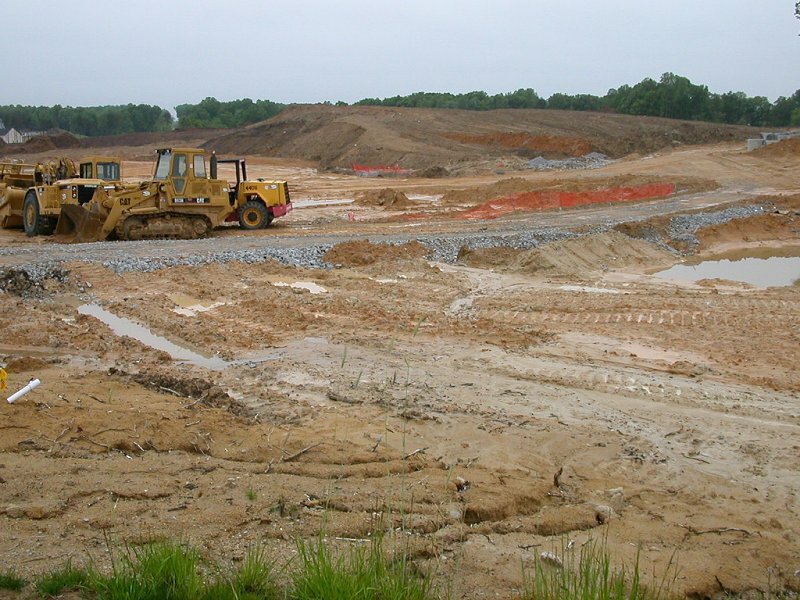 Mining debris, such as tailings piles, are rare in Virginia. You can still find a tiny residue of slag and iron ore left over from iron furnaces that operated in the 1700's and 1800's. Contrary Creek (a tributary of Lake Anna) and Quantico Creek (in Prince William County) were damaged by acid mine drainage triggered by mines that extracted pyrite for its sulfur. It was not until the advent of strip mining for coal that waste material from mining would dominate a substantial part of the landscape of Virginia. Especially since the 1960's, Federal and state laws and regulations have been increasingly strict on controlling how waste is managed. As a result, backyard dumps, "straight pipes" from toilets and manufacturing plants to rivers, and inefficient treatment facilities have been replaced by relatively-expensive treatment plants. At the same time, we are still spreading waste (biosolids) on agricultural fields as a soil conditioner. 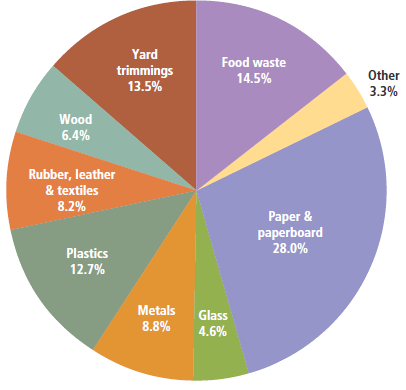 In 2012, Virginia had 206 permitted solid waste management facilities in operation, up from 195 in 2007.5 Few communities welcome the development or expansion of waste management facilities nearby. Those who object to facilities being built in their neighborhood may be driven by self-interest, but who is that surprising? There are numerous acronyms for those who object to locating LULU's (Locally Unwanted Land Uses) such as dumps, incinerators, sewage treatment plants, etc. in a particular area. NIMBY stands for "Not in My Back Yard," CAVE stands for "Citizens Against Virtually Everything," BANANA stands for "Build Absolutely Nothing Near Anyone" - and NOPE stands for "Not on Planet Earth." One political issue is the claim that unwelcome public facilities are concentrated in areas with high concentrations of poor and minority residents. "Environmental justice" advocates contend that the placement of public facilities reflects underlying racism, while others debate the claim or suggest that low land acquisition costs are the primary determinant (not racism) for locating such facilities. There are cases where the LULU's are closer to the rich than the poor. For example, the upper-class Montclair community in Prince William County is located downstream from the county landfill. Powells Creek drains the landfill area before it flows into Lake Montclair. Houses with lakefront property have a higher value, and the development has a popular beach where kids swim in the lake... and in the lake will be any leachate that flowed downstream from the landfill.